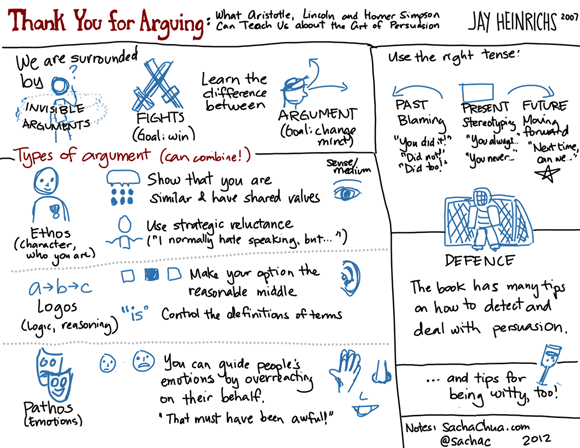 Jay Heinrichs’ Thank You for Arguing: What Aristotle, Lincoln and Homer Simpson Can Teach Us about the Art of Persuasion is one of my favourite books. You know how we walk around thinking that rhetoric is evil and arguments are to be avoided? He shows how knowing about persuasive techniques – and using them well – can make life better, and how kids who know how to argue correctly are adorable. Well, he doesn’t explicitly make that last point, but it’s entertaining seeing him get bested by his 5-year-old daughter. Read this book so that you can get better at detecting and dealing with invisible arguments that surround you. 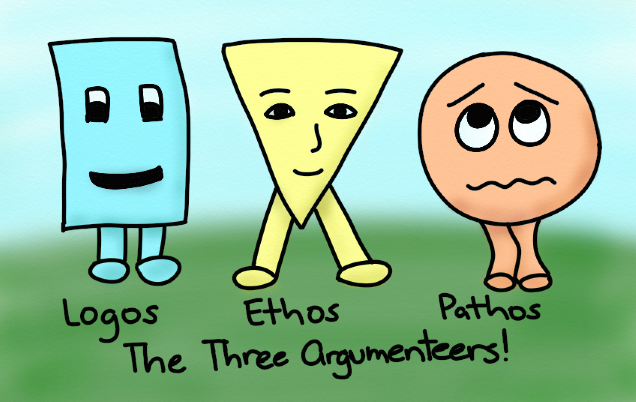 Learn how to combine the elements of ethos, logos, and pathos to argue persuasively. Don’t get stuck in blame games or stereotyping fights; stay focused on the future and help people move forward. Use wordplay to be wittier. 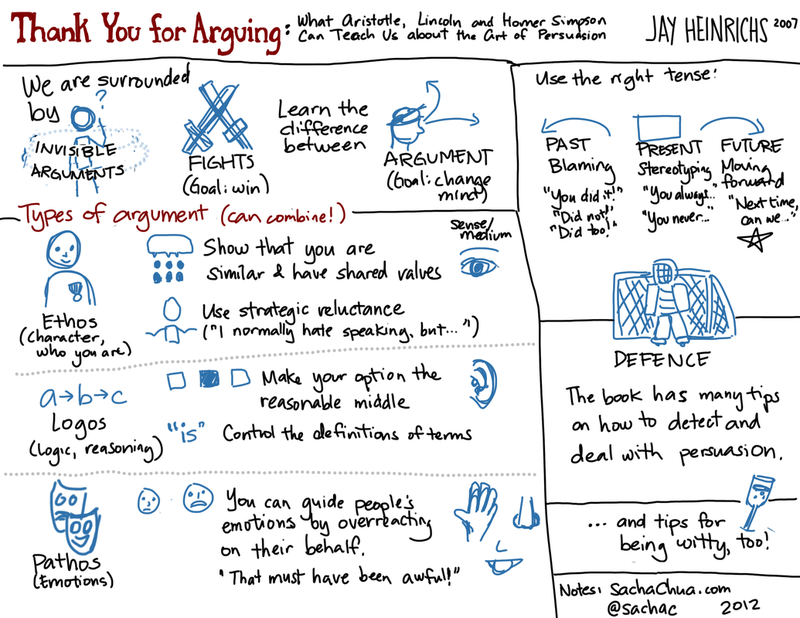 For more detailed notes, see my 2010 review of Thank You for Arguing. See other visual book notes! You can guide people’s emotions by overreacting on their behalf. The book has many tips on how to detect and deal with persuasion. …and tips for being witty, too! UPDATE: Changed the title from “the value of the right approach” to “the value of a different approach” – thanks to Aaron for the nudge! One of the benefits of learning about rhetoric and argument is being able to recognize what’s going on. Here, Anna tries to set up a dichotomy: either you love animals and are vegan, or you eat animals and don’t love them. Relying on such a premise weakens Anna’s case. I don’t have to accept this premise, and I can see other choices. This looks like an inarguable situation: she’s not going to convince me to adopt a vegan diet through these words, and I’m probably not going to convince her to be more precise and more compassionate in her rhetoric. But I’d like to explore this anyway, because there’s something interesting here about the difference between what she’s trying and how I’d do it. (When life gives you lemons, write a reflective blog post about them!) If I were in Anna’s shoes and I wanted to nudge someone to move towards a more plant-based diet, here’s what I would try. You can very rarely make someone do something. If you want to influence someone’s behaviour, you have a much better chance if you can inspire them rather than if you criticize them or force them. Part of that is building a bridge between the two of you so that the other person can understand and listen to you, and part of that is helping the other person imagine how much better their life would be with your proposal. I know that can sound frustrating and slow. There have been many times I wished I could just wave a magic wand (or write a program!) to get people to change their behaviour, understand a new concept, or stop e-mailing huge files around. But in all the books I’ve read and through all the coaching I’ve done, I keep coming back to these lessons again and again: you can’t change people’s minds for them, and influencing cooperation can be much easier than sparking conflict. So I would start by building common ground, instead of approaching it antagonistically. This is a common mistake for radicals, influencers, and people carried away by their passions. Goodness knows I’ve got enough examples of doing this myself in the early years of my blog. 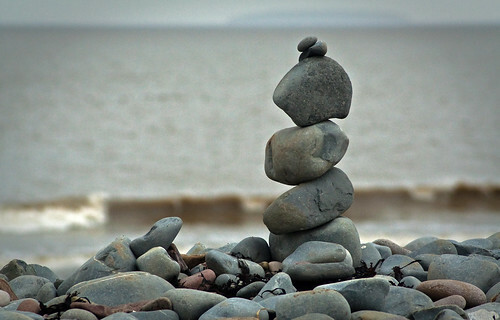 When you get stuck in an “us versus them” mindset, it becomes difficult to connect with people in a compassionate, respectful manner. Instead of trying to imply that the person I’m talking to hates animals or is hypocritical, I’d probably start off by highlighting things we have in common. Something like this: “I’m happy to see you love animals a lot.” This validates what the other person has said, affirms them, and starts off on a positive note. I’d soften the call to action. People don’t like being manipulated by false dichotomies or preachy advice. I would probably explore the waters with a question like, “Have you thought about shifting to a vegetarian or vegan diet, too?” By backing off a little, I acknowledge the other person’s choices and reasons instead of trying to make decisions for them. Depending on whether I thought it was necessary, I might include some social proof or alternative reasons. For example, plant-based diets can be healthier and less expensive than diets with a lot of meat. They can have a smaller environmental footprint, too. It’s good to anticipate and acknowledge the difficulties. Growing plants isn’t automatically guilt-free: see the clearing of land to support commercial agriculture; the dangers of monoculture, fertilizers, and pesticides; the consequences of transportation. I’d end by showing my respect for people’s choices and finishing on a positive note. This would be a good place to thank the person again and highlight common ground, remembering that the goal isn’t to score points, but to open up a possible conversation enriched by personal experience. So here’s what that might look like, if I wanted to influence someone to eat more vegetables and fewer animals. Your mileage may vary, of course. You might feel that this more compassionate I’m-on-your-side approach is too mild for you. I present it as an alternative, so it’s easier to see that not all advocacy has to be confrontational. Having reframed the comment in a more positive tone, what would be my personal response to it? I’m aware of the arguments for and against vegetarianism and vegan diets. I do eat mostly vegetables, thanks in part to a community-supported agriculture program that keeps me busy figuring out what to do with zucchini, in part to concern over what goes into the food that goes into us, and in part to a stubborn frugality that dislikes paying the premium for steak. I don’t think I’ll ever follow a strict vegetarian or vegan diet, though, because I don’t like inconveniencing friends and family, or proselytizing at the kitchen table. I’ll follow my own decisions when it comes to food I can control, but I’ll try to go with the flow when it comes to what people share with me. (I still opt out of balut and other things that make my mind boggle, although many people consider such things delicacies.) So even this tweaked message isn’t going to make my decisions for me, but it will leave me with more respect than aversion to how people try to get their messages across. Parting thoughts: If you come to a conversation prepared for a fight, that’s what you’ll get. If you come to a conversation with love and compassion, you’ll have more opportunities to learn and grow. It’s amazing how much of a difference your starting point can make. It takes practice to be able to consider different approaches and choose one that fits, and, if necessary, to translate what other people say into what they might have meant. Hope to help more people think about and consciously choose how to approach conversations! Develop arguments for or against premises that can be objected to, repairing minor flaws so that you’re fighting the strongest version of the argument. This make sense. But for some reason, I didn’t have that framework before. If I had thought of those classes as partly about debugging arguments, applying the same decomposition skills I loved to use in computer science, I would’ve enjoyed the courses a lot more and gotten a lot more out of them. Better late than never! The book also shares classic structures for developing a response in support of or against someone’s position. You outline the original position, develop the pros and cons, choose a position, state the strongest arguments of the opposing side, and refute those arguments with your own. Although this might feel a little formulaic–or too stifling for casual blog posts that start with captioned animals!–it’s a good way to make sure you thoroughly examine different sides. I’m going to experiment with using these ideas when writing blog posts. I think the bigger challenge for me is taking a position. I’ve discovered there are a number of things I can’t help but get on my soapbox about, so there’s a start. Essays can lead me to more questions and arguments. It’ll be a fun way to discover what I think. I really like this book. Jay Heinrichs writes in a clear, accessible style that shows the relevance of rhetoric in life and gives great tips on how to get started. Through anecdotes, he also shows that rhetoric doesn’t have to be dodgy, and can contribute to a richer work and personal life. 1. 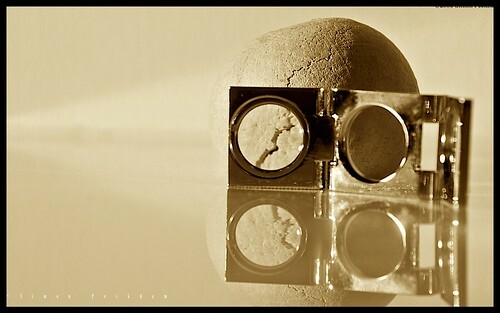 Open your eyes: The invisible argument: We treat rhetoric and argument as negatives, but we’re immersed in it. Learning about argument can help us not only recognize when we’re being persuaded, but use it to improve everyday life. Present-tense (demonstrative) rhetoric tends to finish with people bonding or separating. Past-tense (forensic) rhetoric threatens punishment. Future-tense (deliberative) argument promises a payoff. 4. Soften them up: Character, logic, emotion: Or ethos, logos, and pathos, if you want to use their classic names. Read this chapter for great arguments by the author’s children. 5. Get them to like you: Eminem’s rules of decorum: Ethos: Work with your audience’s expectations. Make it easier for them to believe you and identify with you. Fit in. 6. Make them listen: The Lincoln gambit: Help the audience see your common values and practical wisdom. Show them that you’re focused on their best interests, not just yours. If necessary, you may need to mimic other people’s values in order to get them to hear you. Take advantage of opportunities to build perception of your character, such as changing your position based on people’s arguments. 8. Win their trust: Quintilian’s useful doubt: Be doubtful or reluctant, talk about your sacrifice, or dial down your rhetoric skills if that serves your cause. 9. Control the mood: The Aquinas maneuver: Use stories, volume control, plain language, and emotional influencers to change the mood. 10. Turn the volume down: The scientist’s lie: Manage anger by using passive voice when referring to things other people had done (not you). Calm people by reacting more than they would, on their behalf. Humor might be a good tool, too, but it’s tricky. 11. Gain the high ground: Aristotle’s favorite topic: Take advantage of common beliefs, values, or sayings as a foundation for your argument. Make your argument seem obvious. If people use common sayings to reject your argument, listen for that and come up with something relevant next time. 12. Persuade on your terms: What “is” is: Pay attention to labels. Redefine words if needed, using a clear definition. Use the values of your audience. Switch tenses to focus on future choices, too. 13. Control the argument: Homer Simpson’s canons of logic: This chapter covers deductive and inductive logic, and how to support inductive logic with facts, comparisons, or stories. 14. Spot fallacies: The seven deadly logical sins: This chapter lists logical fallacies and how to deal with them. 15. Call a foul: Nixon’s trick: Identify fouls and deal with them, because if the conversation goes into inarguable territory, you’ll just be going around and round. 16. Know whom to trust: Persuasion detectors: Are people being extreme? Are people focusing on needs that don’t include yours? Watch out when negotiating. 17. Find the sweet spot: More persuasion detectors: Do people try to give you a solution without hearing the details of your problem? Do people have relevant, accurate, unbiased information? Can people figure out what matters? 18. Speak your audience’s language: The rhetorical ape: Listen for the jargon and the keywords of a group, and repeat them. Try using antonyms when refuting other people’s arguments, if the original words will cause negative responses. Don’t be afraid to experiment with the logic of a sentence. 19. Make them identify with your choice: The mother-in-law ruse: Let people come up with your idea by identifying with them and letting them identify with you. Use in-words and irony if needed to help a certain group identify with you more (possibly with the exclusion of another group). 20. Get instant cleverness: Monty Python’s treasury of wit: This chapter covers figures of speech, subverted cliches, and other techniques for being wittier. 21. Seize the occasion: Stalin’s timing secret: Pay attention to timing, and watch for persuadable moments. Sight is mostly pathos and ethos. Sound is the most logical sense. Smell, taste, and touch are almost purely emotional. 23. Give a persuasive talk: The oldest invention: Invention, arrangement (ethos, then logos, then pathos), style, memory, and delivery. Classical structure: Introduction (ethos), narration, division, proof, refutation, conclusion. 24. Use the right tools: The Brad Pitt factor: Goals, ethos, pathos, logos, kairos (timing). This chapter has examples of how tools from different chapters work together in real-life situations. 25: Run an agreeable country: Rhetoric’s revival: We need more rhetoric in real life. Yay!